Site for WIFI 1460AM | Listen Live! WIFI AM 1460 is a regional radio station located in Burlington, New Jersey. Our 5000 watt broadcast signal covers a listening audience of over one million people from Philadelphia to the Jersey shore. WIFI AM 1460 also streams live on the Internet at WIFIAM1460.com and can be heard around the globe on your computer, an Internet Radio, or even your 3G capable phone. Be a part of us! Host Your Own Radio Show! If you are using Microsoft Windows 2000, XP or VISTA chances are you can click on Windows Media Player and open the stream with ease. WIFI's MP3 stream works with Winamp, Rhapsody, Nero Media Player, Xaudio, iTunes, Quicktime, Real Player, XMMS for Linux, Media Player Classic or Pathfinder streams. A broadband connection is recommended to connect, however the stream can be used on dialup but you need to have at least 42k/sec available to avoid buffer underruns! DuxPond is now offering a special for show hosts on WIFI. How would you like the opportunity to host your own radio show from home without coming to the studio? Now you can! 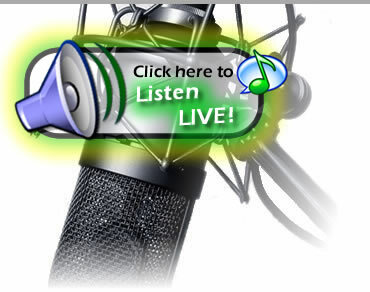 Get your own remote internet broadcast on WIFI 1460 AM! Please contact John "Duke" Hamann by emailing him at john at wifi1460am.com. Get a 10% discount on your website design when you mention this ad. local personalities to host their own show! As well as weather, news and sports updates during the day.